Although our family would absolutely NOT be complete without our best buddy Ezra, it's been hard at times for Jack and I to put time and effort into our marriage. We've found ourselves getting short with one another, going to bed angry some nights, miscommunicating, and feeling frustrated and burnt out. Since we both work, it's hard sometimes to MAKE time for one another in the evening, away from our phones with the TV off. Honestly sometimes all I want to do is just veg out on my phone after a long day, ya know? This upcoming year, however, I really want to be more intentional in my marriage, and purposefully take action in reigniting the spark with my spouse. If you've been following me on Instagram, you know I've been using my Cultivate What Matters PowerSheets to help me iron out my goals for 2019, and I am SO thankful to be using them to help me determine how I can cultivate a stronger & healthier relationship with my spouse in this upcoming year. I discovered Date Night In Boxes while I was scrolling through Instagram and was instantly intrigued. 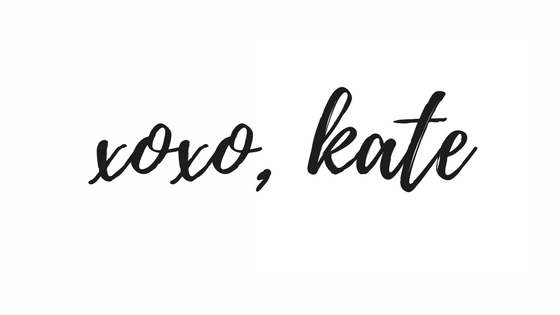 A Date Night from my couch without getting out of my pajamas, OR having to put makeup on? Count me in! I reached out to them and was SO grateful for the opportunity to try out my very first box! I can't believe we didn't do this sooner, to be honest - a monthly date night sent straight to our door with all of the elements we need for a great evening in. I don't think Jack and I realized how much we needed this - and it wasn't even anything extravagant. And we did it all from the couch, in our pajamas. Each monthly box has a theme, which I think is SO fun. Past themes have been Painted with Love, Minute to Win It, Adventure Together, and a whole lot more - each one is completely unique! In the spirit of Thanksgiving, our box was centered around gratitude and giving thanks. When we opened the box we were greeted with a deck of cards for a fun game, some ingredients to make homemade ice cream (and caramel apple floats - YUM), a sweet Eric Carle book (which I'll talk about more later!) sticky notes and even a little dry-erase board to write what we're thankful for. The pamphlet they included walked us through the entire date, and even provided ideas and recipes for an entire meal - including dessert! We will DEFINITELY be following the meal recommendations in next months box! Fun fact: Date Night In Box also offers an optional faith guide you can add to your date, that'll help you and your partner grow together spiritually as well! I definitely want to add that to our next box! We turned on our customized Spotify playlist that is available online with every box, and snuggled up on the couch, excited for a fun night in! There were some discussion questions in the beginning of our pamphlet that got us talking about what we're grateful for in our relationship. This was such an awesome way for us to reflect on the ways we serve each other every day, maybe without even realizing it. One thing we both said was that we're grateful for the "flow" we seem to have within our little family - we are GREAT at helping each other, I make dinner, he does the dishes, I put the laundry in, he folds it, we have this natural ebb and flow of things that helps us keep up with housework and every-day things, and I feel like that's something most people don't have! We were also challenged to think of a way we could serve someone else. Ezra is still a bit too little to help us with any service projects, but we talked about doing something like helping out with a homeless ministry or giving meals to a shelter. This year for Christmas we really want to give a gift to a local child through something like the Angel Tree. My mama's heart always goes out to other kids who might not be part of a family the way that my child is, especially during this time of year. This book Love by Eric Carle was included in the box, honoring a sweet 5-year-old boy named Tripp, who tragically passed away following a traumatic brain injury. His parents wanted to include this book, hoping the recipients would pass it on to another child, in honor of their son. I thought this was the sweetest gesture and we absolutely want to include it in our gift to a child this year, whether we do Angel Tree again or something local to us! The most delicious part of the date was making these homemade caramel apple floats, which tasted like a warm piece of apple pie in a cup. They were SO GOOD! Our box even provided ingredients to make our own homemade ice cream! So, so fun! So while we sat sipping our floats, we took a minute for the next activity, which was writing down some things we are grateful for that the other person does or has done for us - or just things about them in general that we are thankful for! The purpose of this was to leave the notes around where your partner will see them, so everytime they find one, they are reminded of your thankfulness. I LOVED this idea, I even found one Jack had hidden on top of the coffee pot the next morning. It was so nice to wake up to see that first thing in the morning! After this, we played a fun game of "gratitude slam" which - you guessed it - was also included in the box. The point of the game was to start with a four letter word and use your cards to keep making words as fast as you can. Is it just me or is it hard to find games for just two players? I feel like Jack and I only ever play Scrabble LOL, so this was really fun for us! We tried a second round using a five letter word and it was so much harder! To end our night, we put together our little dry-erase gratitude board from the box, and set it up next to our bathroom mirror. The point was to put it somewhere that you can see every day, and to erase and write a new message every once in a while, something you are grateful for! I love this, because now no matter what kind of day we're having, I can take a glance at the board and remember what I have to be thankful for. An AWESOME thing about the Date Night In Box is that your night doesn't have to end when you get to the last page of the pamphlet - they even give you suggestions on how to continue your night, such as movie ideas! On top of the value that this adds to Jack and I'd relationship, it is extremely affordable for us, and the website even gives you options to pay for months in advance if that fits your budget better! Boxes start at only $41.99 per month with free shipping! I know for a fact that Jack and I spend more than that if we're out to eat at a nice restaurant - but with everything in this box we're given a whole date night full of activities to cultivate our relationship, for less than $50 for the entire month! In the middle of what is probably life's busiest season yet, I am so thankful that Jack and I have the Date Night In Box to look forward to every month. Not only will it help me achieve my goal of building a stronger marriage in 2019, but it gives us a chance to break the mold of boring "date night outs" and try something new for a change. 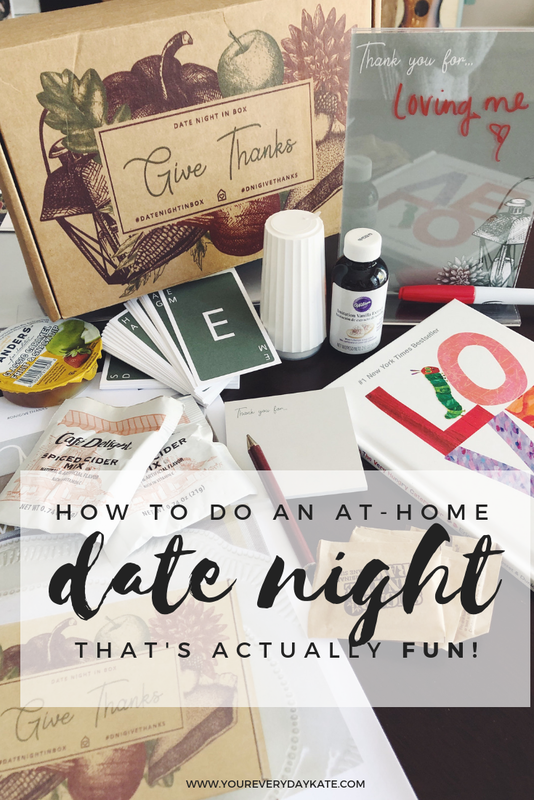 Click any of the links in his post to get your own Date Night In Box, or even gift it to a friend or family member who you think would love it!! What are some of your favorite ways to spend time with your spouse or significant other? If you sign up for Date Night In, let me know below! I can't wait to get our next box!